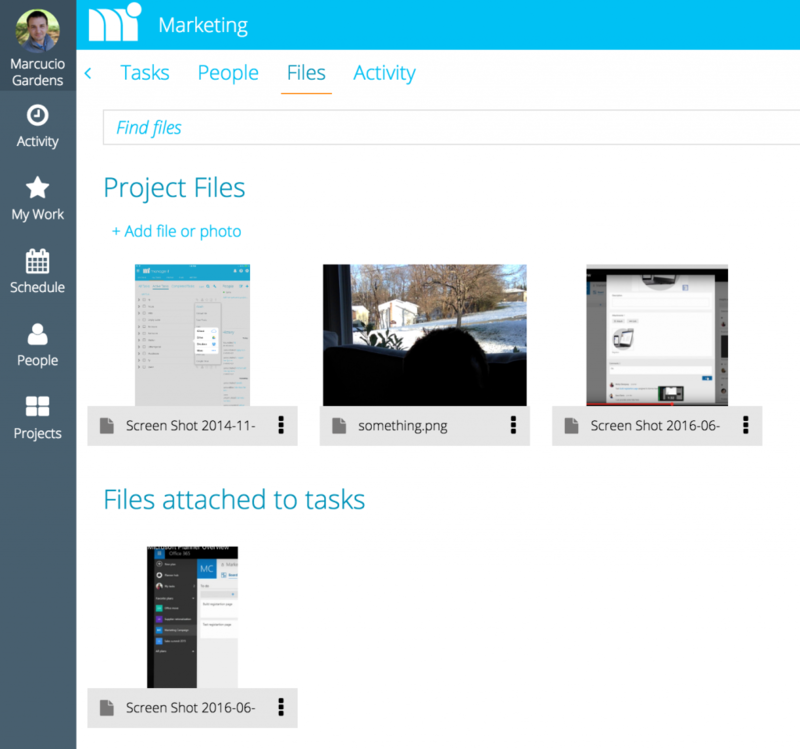 May was another busy month for the Manage It app and we have a lot planned for June as well. You might have noticed that a few times a year we either lower pricing or or give you more for your current plan. As more companies use Manage It, our cost per company is lower so we pass the savings on to you. This month we lowered pricing significantly (more than 50%) for some of our top tier plans. If you are on one of these plans you will see a reduction in your monthly fee next month. Hopefully we can continue this trend and lower prices even more this year. We also made some small improvements when you export your tasks to a spreadsheet. You now see the "Parent" task for any sub-task in your list. You will also see the task effort in the spreadsheet. Both of these suggestions came from companies like yours so please send us any feedback on how we can improve your app! We hope everyone had a productive May. As always, we look forward to hearing your feedback and suggestions! Last month our apps passed the 3,000,000 tasks mark. 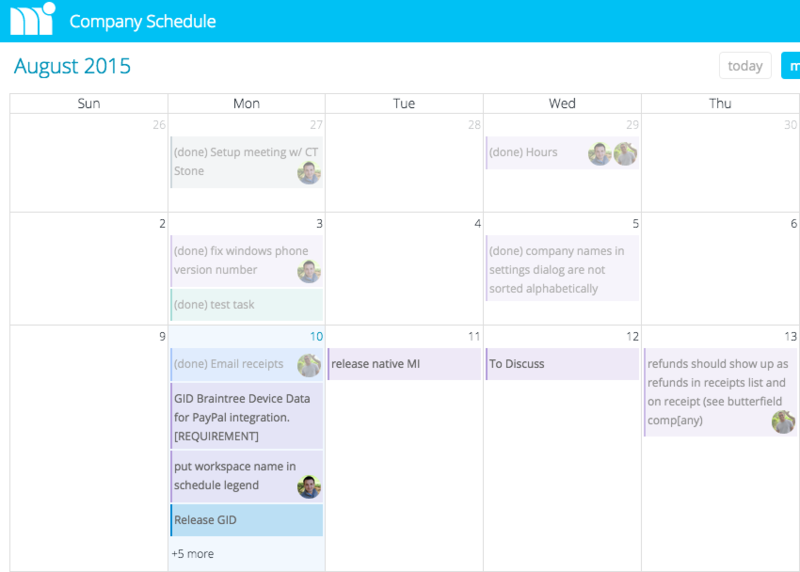 This month we are adding a feature to Manage It that will help you be more productive. Last week we pushed a new version of the Manage It app where you can add “effort” (duration) to a task. Tasks can now span multiple days in the calendar and also show their effort right on the task list. 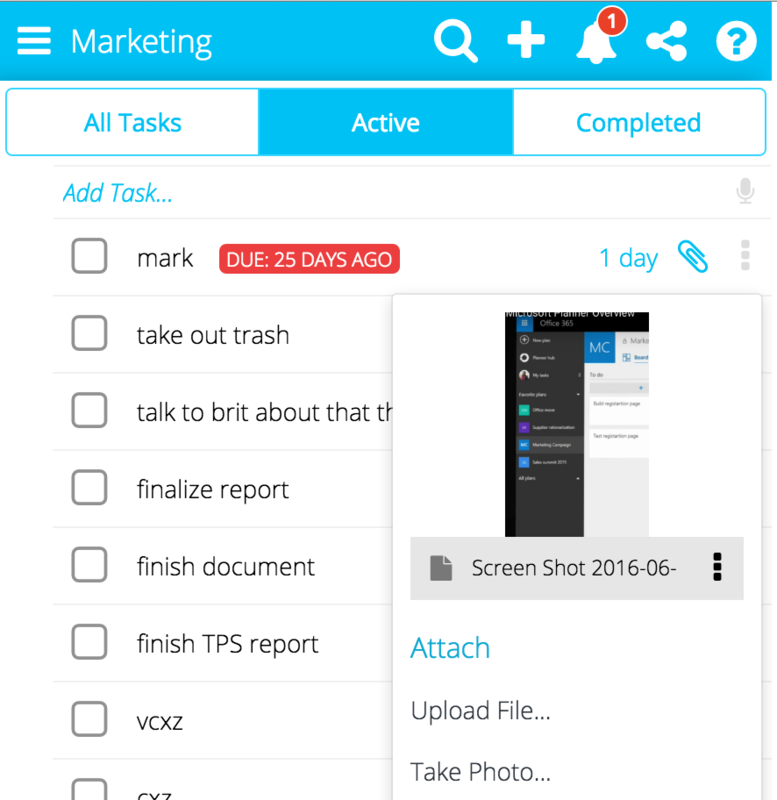 You can resize tasks on the calendar or change their effort through the task list. On desktop or tablet: Click the "Schedule" button in the left column of the app. On mobile devices: Click the button in the upper left corner of the app to open the left drawer then click the "Schedule" button in the left column of the app. Your tasks will now span multiple days if you specified effort for the task. 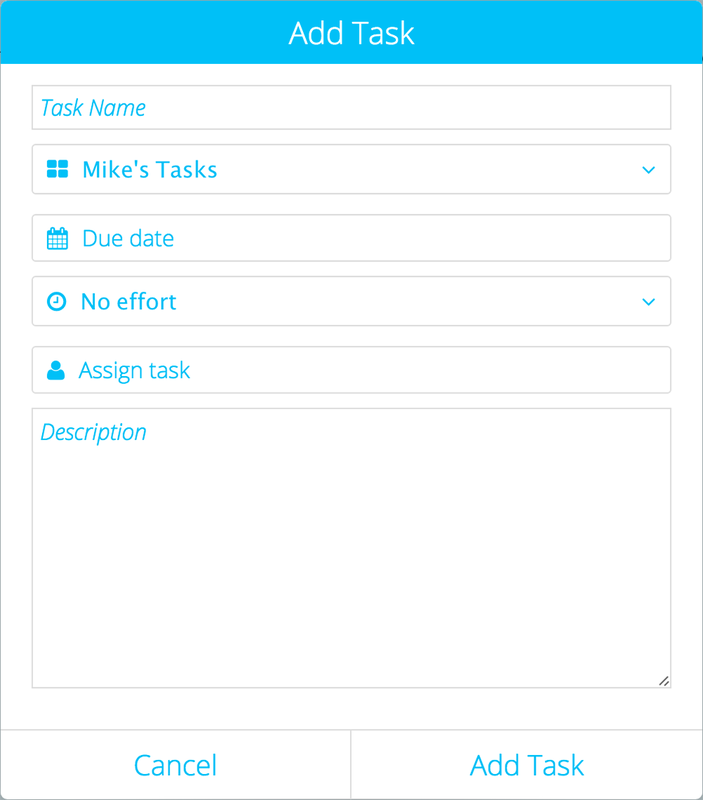 You can resize tasks to change the due date and task effort. To add a task to the calendar all you need to do is add a due date to the task. If you would like to create a new task on the calendar, just click on the day you would like to add the task to. 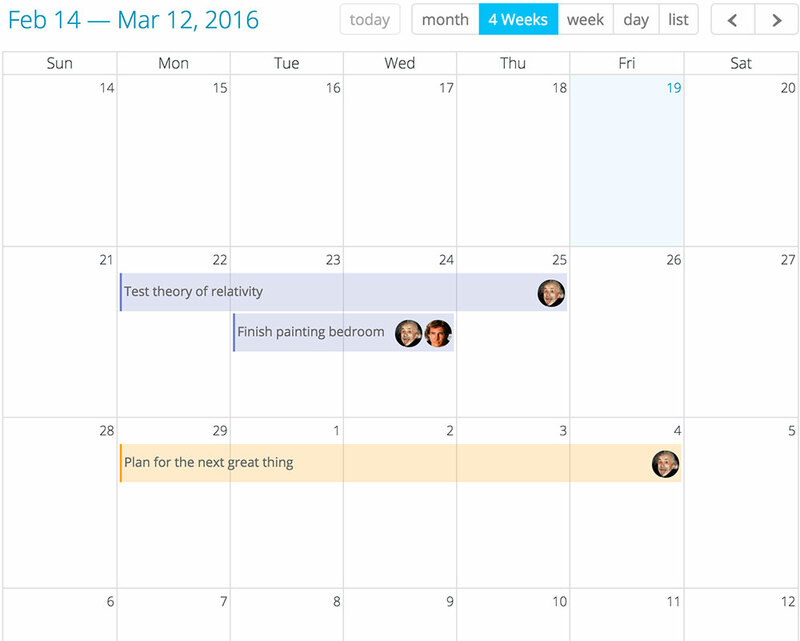 You can also select multiple days on the calendar to add a task that spans multiple days. You can add the amount of effort it will take to complete a task from your task list. If you add effort to a task, the task will span multiple days on your calendar. To add effort to the task, click the task menu (the 3 dots to the right of the task) then click "Effort...". Drag and drop tasks to change their due date. 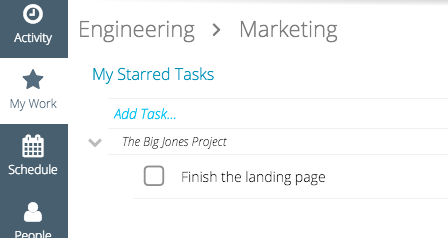 Show or hide tasks by clicking their project name on the right side of the page. 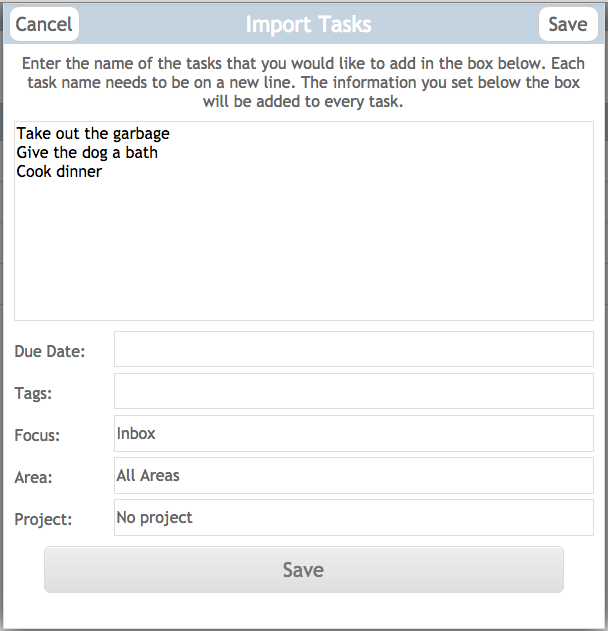 Resize a task to change the due date and effort. The new version of the app is in the app store for all devices except for iOS. We are expecting Apple to approve the update sometime this week, keep a eye out for it. We hope everyone is having a productive February, we always look forward to hearing your feedback and suggestions! We hope everybody had a productive January. This past month we hit a major milestone, you've now managed over 3 million tasks with our apps! We hope that we make your life just a little easier and we work hard to keep your data safe and secure. Last week we released the 4th major change to the Manage It app (https://manageitapp.com). On the surface it might look the same, but behind the scenes there were major changes. We redesigned our entire back-end so that we can make the app faster and more stable. This release also allows us to add a lot of helpful functionality to both Manage It and Get It Done in the future. Keep an eye on us because we have many new features planned for the next few months. So how do you get the new app? If you access the app through the web browser you are probably already using it, we automatically direct you to the new app when you reload the webpage. Thanks for trusting us with your personal and business tasks, we are working hard to make you more productive and organized. 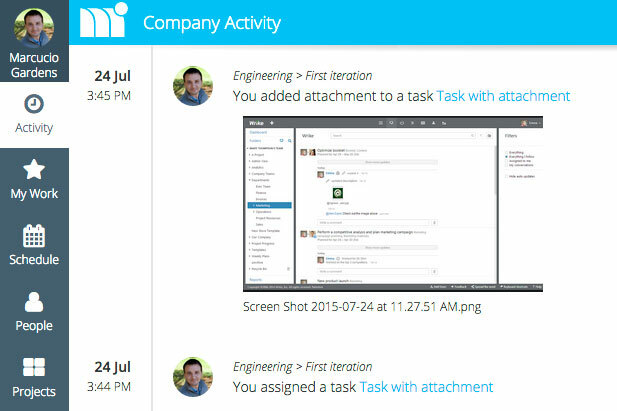 It is now much faster and easier for you to find any task, note, project, or person across your entire company. Trying to find a particular person? Just type the first few letters of their name and they come right up. 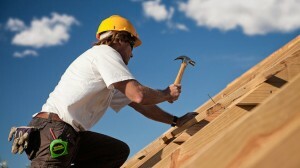 Do you have a lot of projects and find it cumbersome to reach them? Just start typing the project name into the search dialog and your project will appear. Did you have a note in a task but just can't remember which task it was in? Global find can help you find this too. We've found that this is one of the most used features of the app since we've added it. Have you ever received an email from the app notifying you that someone assigned you a task or that someone commented on a task? Now you can add a comment to the task by simply replying to the email. This might not sound like much, but it will save you a lot of time since you no longer need to open the app to reply. Our goal with Manage It is to save you time and make you more productive by integrating with your existing workflows. Previously, you were only able to export single projects to a spreadsheet. Last month we expanded this functionality quite a bit. You can now export the entire company to a spreadsheet or just one person's tasks. This will save you a lot of time if you often export your tasks to a spreadsheet. Last month we lowered our pricing for companies that have more than 35 people using the app. We simplified the plans and now give you unlimited projects for the same price as the previous plans. We've already lowered the prices and increased the limits of our plans a number of times this year. As the number of companies using the app grows, we hope to continue giving you the best pricing that we can. Lately there have been a lot of updates for the Manage It app but you will start to see more Get It Done updates roll out soon. Today we have one new Get It Done update for you, we added ability for you to add multiple tasks at one time. This will save you a lot of time if you frequently add groups of tasks. Lets get into how this works. Simply fill out all of the information, click save and we will import all of those tasks into the app for you. One use case for this is if you are importing tasks from a spreadsheet. If you are importing tasks from a spreadsheet, just copy and paste the task names from a spreadsheet into this dialog. You can also set which area, project, focus, tags, due date, or who these tasks will be assigned to. Another way this is helpful is if you have the same list of tasks you type every time you start a new project. Just save the list of task names somewhere (maybe in the note of another Get It Done task) so that you can quickly fill this out when you are starting a new project. If you find other useful ways to use this just let us know! There is a big need to quickly see a feed of everything that is happening in your company. Our solution is to give you a real-time, Facebook style feed of what everyone is working on. From your new activity feed you can get real-time updates every time someone adds a task, uploads files, completes tasks, comments on tasks, and more. There are many situations where it would be helpful to duplicate a task or a group of tasks. If you have a list of items that you need to do every time a new project starts, or if you find yourself typing and retyping the same tasks again and again, then you can save a lot of time by duplicating your tasks. Anyone who is on our Premium Plan can use this functionality. Duplicating your tasks is easy. Make a copy of your tasks by clicking on the 3 dots to the right of each task, then click on "Duplicate task...". Click here for more information on how to duplicate tasks. Our in-app calendar is one of the most used parts of Manage It. A few weeks ago we made a big update to the calendar to make it easier for you to read, to print, and to see who is assigned a task. Plans start as low as $10 USD a month, log into https://app.manageitapp.com/ to upgrade your account! We hope all of you have a great productive month. As always, please send any feedback our way!